Mahesh Gawli, one of the finest breed of defenders India has ever producedAi? ?retired from International Football in the backdrop of teamai??i? ?s SAFF Cup victory, leaving behind huge shoes to be filled in by the young Indian defenders. Gawli, usually a quiet person, has been the unsung hero of Indian Football for close to a decade. Although his contributions have often been overshadowed by the more illustrious Baichung Bhutia and now the younger players like Chettri, Jeje, Raju -Ai? ?but he has played a major role in all of recent major triumphs for the Indian football team. Gawli has been used as a Central Defender and also as both left/right fullback positions by different coaches and he has performed admirably at all the roles he has been asked to perform. Gawli was born on 23rd January 1980 in Goa and began playing football at a tenderAi? ?age of 8. Gawliai??i? ?s talent was immediately spotted by the coaches at all age groups. He was a member of the Goa U-12 team that beat Japan U-12 in 1991-92. He then joined the famed Tata Football Academy and represented India in the AFC U-16 Championship in 1996 held in Thailand and was included in the Asian All Star U-16 team, a rare achievement in Indian Football. Gawli soon made his international debut in the pre-Olympic qualifier against Thailand in 1999 and cemented his place in the Indian team. Twelve years since his debut, he is still considered to be the best defender in the country. Gawli, oftenAi? ?dubbed as the ai?? ?Great Wall of Indiaai??i?? by his teammates, has been the part of team that has won all major tournaments in recent time. He was part of the squads that won the LG Cup (2002), SAFF Cup (2005, 2011), Nehru Cup (2007, 2009) and the AFC Challenge Cup (2008). It was in the 2005 SAFF Cup that he scored his only international goal against Bhutan in the teamai??i? ?s 3-0 win. He started in all 3 matches of Asian Games 2002 where India narrowly missed out on qualifying for the second round. It was under Bob Houghton that Gawli improved and attained the stature of a reliable figure in Indian defense. He was the ai?? ?Man of the Matchai??i?? in the 2007 Nehru Cup final. ai?? ?Mahesh has a very good right foot. He is quick, possesses a good header and has good interception. So he would have been the best right back in Asia. But all his life he has played as central defenderai???. Mahesh hadAi? ?earlier played as a Central Defender under Houghton’s predecessorsAi? ?and adjusted well to his new role as a left-back. Gawli played a key role in India winning the two Nehru Cup titles and the AFC Challenge Cup. Gawli formed a solid defensive partnership with Deepak Mondal at the heart of the Indian defence. Even in the recently concluded SAFF Cup, Gawli bounced back from a slow start in the group stages and dished out impressive performances in the semi-final and the final – where he often covered for Gourmangiai??i? ?s mistakes at the heart of Indian defence. Indian coach also was happy with his performance and dismissed the media when they quizzed him about Gawliai??i? ?s retirement. Perhaps the most cherished complement that Mahesh received was from his beloved Captain Baichung Bhutia, whoAi? ?termed him as the best Indian Defender he had played with and againstAi? ?in his career. Gawli is one of Indiaai??i? ?s most capped players with 82 caps. He was a calm and a consistentAi? ?figure at the back-lineAi? ?and this is certified by the fact that he never received a single red card in his career. In his final interview he singled outAi? ?the participation in Asian Cup 2011 and the AFC Challenge cup triumph in 2008 as his biggest achievements. Despite his exploits with the Indian team, Gawli only captained the Indian team once and that too in a recent friendly against Malaysia. The captain armband should have fallen to Gawli after Bhutia retired but unfortunately it didnai??i??t. Alongwith an unmatched career in the National team, Gawli had a gloriousAi? 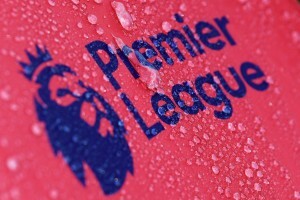 ?journey in club football as well which is still an unfinished business.Ai? ?Mahesh Gawli started his career at FC KochinAi? ?where he joined in 1998 after graduating from TFA (Tata Football Academy) and won the Kerela League with them before moving on to Goan Giants Churchill Brothers. He stayed there at Churchill for three consecutive seasons from 2000-2002 and won the Goan League thrice with them. He also helped them secure theAi? ?Runners-up medals in the 2001-2002 season of National Football League before moving on to Kolkata biggies East Bengal. Gawli first tasted the National League success in 2003-04 season after moving in to the Red-&-Gold brigade.Ai? ?He was also a member of the East Bengal team that won the prestigious ASEAN Cup in 2003 where he also scored a goal against Philippines Army club. East Bengal completed a treble that season by bagging the Kolkata League crown as well. After a successful 3 years’ stint with the Red-&-Golds, it was time for Mahesh to find his place in Mahindra United team. It was under Mahindra Coach David Booth that Gawli displayed hisAi? ?finest brand ofAi??football. He helped Mahindra win the NFL, Federation Cup, Mumbai League and the IFA Shield and was part of the team that participated in the AFC Cup 2007 and went on to reach the last eight stage. Gawli won the best defender award in the 10th NFL for his stellar performancesAi? ?in Mahindra United colors. Then it was like a home coming for Mahesh as he movedAi? ?from Mahindra to Dempo in 2007 and has become a pillar of strength in Dempoai??i? ?s defense. Gawli has won two I-League titles with Dempo and is a regular starter for the club and forms a formidable partnership with another India international Sameer Naik. He helped Dempo reach the semi-finals of AFC Cup in 2008 and the pre-quarters in 2011. 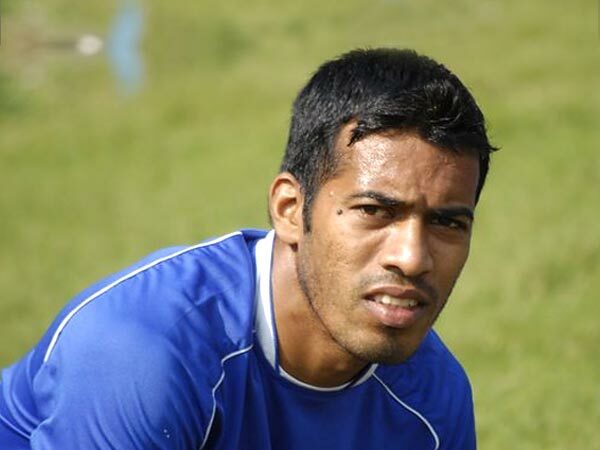 He is all set to continue to play for Dempo for some more years before finally bidding adieu to club football. ai?? ?He deserved the award and I had proposed his name. He is a sincere and disciplined footballer. Though there are strict parameters for the Arjuna, you have to consider his last three years’ performances for India and his club Dempo.ai??? Although he was nominated for it various times, Gawli also missed out on the AIFF Player of The Year Award despite his stellar performances for both club and the country. He also had offers to play for clubs in Malaysia and England (3rd Division) but he stuck to play in India though he admitted later in his career that playing abroad would have made him a better player. TheHardTackleAi? ?family wishes Mahesh Gawli all theAi? ?lucks in the worldAi? ?for his future endeavours. We hope that the AIFF will recognize his services and hopefully utilize his experience and expertise for the benefit for Indian Football. Thank you Champ, for your untiring efforts for the Indian team and showing us the direction to move forward in what is arguably the most crucial times in Indian Football. Superb! Thanks for this awesome article. Mahesh truly deserves a lot more! Nice article by one of the biggest Indian soccer fans at heart!! Good one THT. All the best Mahesh Gawli for your future endeavours.